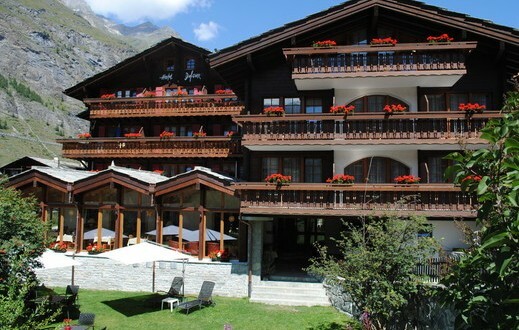 The Hotel Dufour Traditionell is a traditional Swiss chalet hotel enjoying a sunny, central location in Zermatt and offering superb views of the Matterhorn mountain. You can play mini golf on the grounds and make use of the indoor pool of a neighboring hotel free of charge. Wireless internet is available in the public areas and in some guest rooms of the Hotel Dufour free of charge. A hotel taxi service to and from the train station is at your disposal upon request, depending on availability.